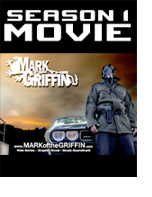 Mark of the Griffin Season 1 Movie The entire season 1 added together into a single experience. Purchase this release and more directly from Dynamica Music for extended savings! 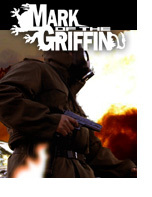 Before he was marked, Marcus Griffin thought he could change the world with a gun. He was wrong. This is the first of two pre-series launch episodes. 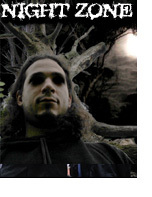 It occures five years before Marcus Griffin is recruited by The AGENCI and only months before he goes under the training of Sensei-Master Ernesto Hawke. Millions are at stake. Thousands are at risk. Hundreds may die. Ten possible thieves. Two will clash. One will receive the Mark. It's gets intense and tense when a thief takes the test tube and the Griffin tallies the toll. 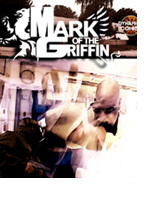 This is the official first episode of the Mark of the Griffin series and the comic book combines episode 0 and 1 into a single reading experience. 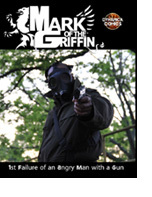 Marcus Griffin goes undercover as a mechanic to discover the fate of a missing woman. Who's involved and what will be involved when the Mark digs for the truth? It's a mysterious mess when a Miss goes missing. 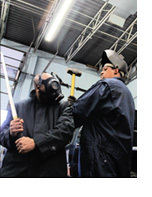 Marcus masquerades as a mechanic when murder is the main mission and the Mark is in the mix. It's a good guess if Griffin's got a ghost. Is it a ghoulish clue that unglues Griffin or a haunted hint that's given as a gift? Soundtrack episode 3 Night Zone: Five fearful bits of music bite into this soundtrack. * Watch the original Domino Grey video concept inspired by "Night Zone" from the album Get It Up, Lay It Down. It's a brief case of a briefcase when the Griffin goes grabbing for a grift with a gift and a gun. 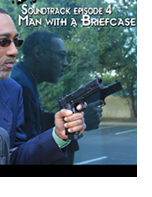 The action web series by Drew Spence follows suit and the vigilante-turned-hero, Marcus Griffin follows a mysterious man in a suit. Will mashed memories mar the mission? Soundtrack Episode 4 Man with a Briefcase: A fistful of grit gets good and grabbed.